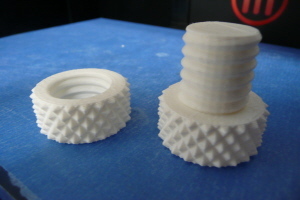 We have purchased a MakerBot Replicator 2 3D Printer for making plastic prototypes. The files to drive the machine are generated automatically in Solidworks and it fits in seemlessly with our overall product development process. Having a part to hand as part of the design process enables us and our customers to quickly verify if a design ideas works which significantly speeds up the development process. 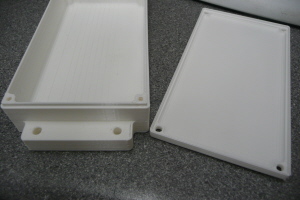 The Printer can sit in an office environment and make parts up to 250mm x 250mm x 125mm with an accuracy of around 0.1mm.